Get these classic white fabric lamp shades with pleats, a wonderful offering from the Brentwood lamp shade collection. From the Brentwood lamp shade collection. Two antique white shades with pleats. Brass finish spider. 6 1/2" across the top x 15" across the bottom x 11" on the slant x 10 1/2" high overall. Set of two lamp shades from the Brentwood brand. Antique white mushroom pleat 100-percent polyester material. Hardback poly styrene inner liner. They look very good and I needed replacement lamp shades for my lamp. To replace twenty year old shades. We love the lamps. Like the looks and the size I was looking for. Look like the perfect replacements for my lamps. Information on website made them easy to find and easy to order. Free shipping sealed the deal. I chose this because of price. Have Stiffel lamps with same shades for the last 25 years; update time. It was what I needed and so easy to order on line. What I've been looking for and having difficulty finding. I hope these work. Matches the shades on a pair of swing-arm wall lamps. I have been looking all over for replacement lamp shades and could not find them anyplace. I am so excited to have found them. These shades came as a pair at a great price. I have a pair of lamps and my cat keeps knocking one over and it breaks the insides of the shade all to pieces. I was hoping to find it in the same color but couldnt so having to purchase 2 made this choice a great find. I like the pleated look, It fits in with any décor and it is fresh looking, and very affordable. Looking for pyramid - octagonal shape 4 top, 8 bottom, 7 on slant, pleated fabric ? style #2M863-2M863. I need size 8"x18"x12" or close to it. Is it available? BEST ANSWER: Hi - I am sorry, we currently do not offer a lamp shade with those exact dimensions. But, I have added a link below to some other options which are close that you may like. do you havetrend palm tree bamboo shade repacement t ? BEST ANSWER: Hi - I am sorry, we do not currently offer lamp shades made of real bamboo nor palm tree print design. But, I have added a link below to some other options with bamboo print. No. These are pleated, fabric like, empire shaped shades. You need to contact customer service if your looking for bamboo shades, if you can't find them from the selection. In 2007 I ordered Cream Waffle Lamp Shade 6x19x12.25 (Spider) from you. It is now time to replace (I need two) but can't seem to find this size which is perfect for my lamps. Can you help? need eggshell pleated shades (2) 6" top, 13"down, 19" across bottom? 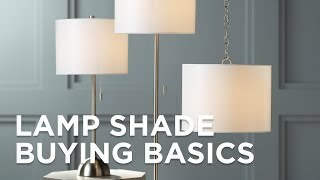 BEST ANSWER: Hi, unfortunately, we do not have an eggshell pleated lampshade in these dimensions. I have attached one that is close. Do you have these shades in Gray? BEST ANSWER: No - gray is not a color option for this shade. But, I have added a link below for you to start viewing our gray color shade options. can these be made with hospital grade fabric? BEST ANSWER: Unfortunately, we do not offer these shades in commercial grade. The lampshades arrived promptly, fit the lamp and look very nice. Just what we wanted. 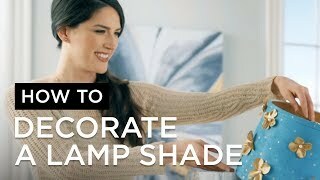 Your site helped with buying just the right size shade. Accurately described and measured they were a perfect fit for a good price. It's not your fault, but I probably should have ordered lampshades that were a little taller. However, the ones I got will do. Your company gave me a good products for a good price. Exactly as described. Having new correct sized harps was a bonus. All items very well packed. Refresh the look of a sconce or chandelier with this custom giclee shade featuring a charming Bountiful Blooms floral pattern. A charming nod to vintage French decora Gallic Rooster giclee print lends country charm to this set of 4 clip-on lamp shades. A weathered black background is beautifully accentuated with the Golden Trim motif that highlights this set of 4 giclee print lamp shades with clip-on fittings. Mimicking the look of an exquisite mosaicthis set of 4 Hummingbird giclee lamp shades features deeprich colors for striking impact.